Are you overwhelmed by the long list of tasks that goes along with planning a long-distance move? Take the stress and hassle out of your relocation experience by contacting the professional team at Liberty Movers! As the source for trusted moving services since 1920, our Worcester long distance moving team has decades of experience in simplifying even the most complex relocations. Whether you’re going to a neighboring state or clear across the country, our premier moving company offers the service and support you need—at a price that fits manageably within your budget. Successful long-distance moves require expert coordination and clear communication between you and your moving company, and Liberty Movers is committed to exceeding your expectations for customer service. Proudly serving all of Central Massachusetts with nationwide, cross-country, and international relocation services, our long-term agency with Bekins Van Lines gives us access to the state-of-the-art resources needed to complete any size household move with ease. 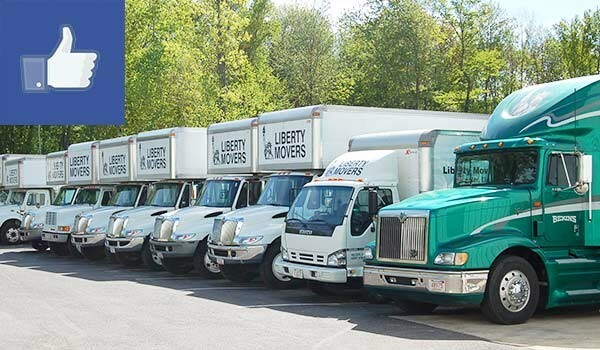 As the oldest and largest moving company in the region and am interstate agent of Bekins, Liberty Movers has a reputation for excellence that extends through all of our service offerings. Our BBB-accreditation and award-winning service are both testaments of our commitment to our customers, and we’d love to discuss your needs for an affordable, seamless, long-distance move! Just give us a call to speak to one of our friendly Worcester residential movers, or fill out our online form today to request your free, in-home estimate!